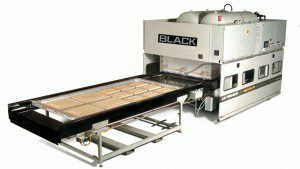 Membrane Thermofoil Press | 3D SmartPress | Black Bros.
Black Bros. line of industrial Membrane Presses, now called the 3D-SmartPress, offers the highest quality in the thermolaminating/3D laminating industry. This line of positive pressure membrane presses have been a quality standard for almost twenty years. What distinguishes a Membrane Press from a Vaccum Press are the systems engineered into the machine. 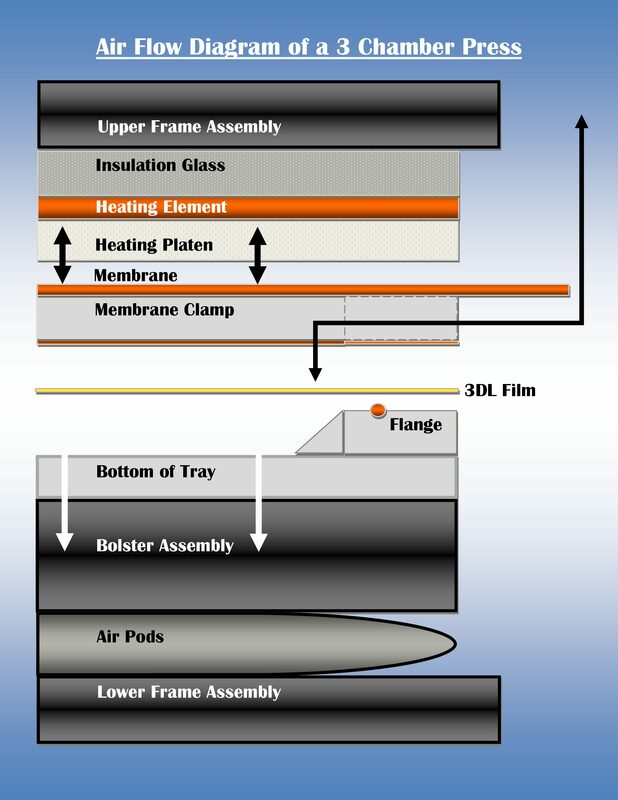 A Membrane Press has a system of both negative (vacuum) and positive pressure built into it, making it able to achieve greater definition to the surface, due to the amount of positive air pressure the machine can generate on the surface of the material. A Vacuum Press can only draw a vacuum, approximately 14.5 PSI maximum. What distinguishes our Membrane Press from other presses in the market place? 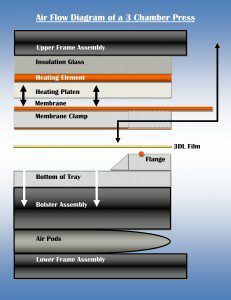 At Black Bros. we manufacture a true 3 chamber Membrane Press. Other manufacturers claim to build a “membrane” press, but not all are created alike. If you look at the diagram to the right you’ll see an illustration of a true 3 chamber machine. hands to be able to accurately repeat the cycle parameters. a true 3 chamber machine brings you! SP1-408-1(2) 4′ x 8′ capacity 3D-SmartPress, with single or double trays. SP1-410-1(2) 4′ x 10′ capacity 3D-SmartPress, with single or double trays. SPP1-408-2* 4′ x 8′ capacity 3D-SmartPress, double tray, Automated With SmartPin Technology. SPP1-410-2* 4′ x 10′ capacity 3D-SmartPress, double tray, Automated With SmartPin Technology. An automated flipping unit (turn over device) is available for machines “only” with an elevator unit (included in all SPP1 models). Elevator units, along with corresponding layup table, are available as options to all basic SP1 machines. Adding an elevator unit allows for an easy future upgrade to a machine Automated With SmartPin Technology, and keeps your operators working at the same end of the machine in their own “cell” footprint. Consider adding these components to your basic machine, in order to ready your machine for the SmartPin upgrade!